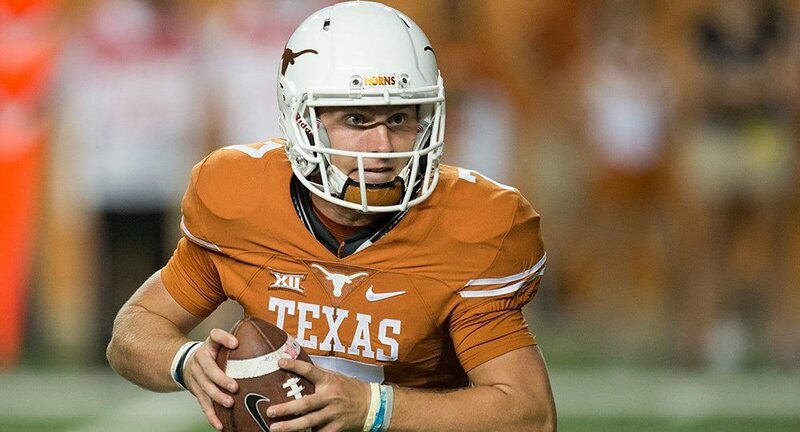 Freshman quarterback Shane Buechele is two games into his University of Texas football career, has started twice and earned Big 12 Newcomer of the Week honors both times (photo courtesy of texassports.com). AUSTIN, Texas — Football coaches often point to the second game of the season as a true indication of the talent and desire of their teams and as an insight into how their players need to improve and who will shine when the lights are their brightest. But the Texas Longhorns' 41-7 win Sept. 10 over Texas-El Paso was not that indicator for the UT staff. With so many UT players held out of the game because of either injury or just to get a little rest against an obviously overmatched Miners’ squad, it's difficult to judge the just how consistent the Longhorns’ starters will be.